When it comes to social media analytics, engagement is super important. But what does engagement actually mean? And are social media follower counts really important? Let's face it: Metrics for social media success can be intimidating. They prove the efforts of a company or individual matter, but between tweeting, Facebooking, putting out fires, sending puppy photos, and giving your followers all the attention and love they need, metrics are often second thoughts. It's simple to report follower numbers. It's exciting to see people add your brand on social media, and it can be downright fun to rise above your competitors or meet benchmarks. But are followers actually a helpful metric on their own? Followers are indeed a piece of the analytics puzzle. They’re a solid number to track on a spreadsheet or tell an inquisitive co-worker, an investor interested in a brand’s reach, or a family member who can't quite believe what you do for a living. So what happens if follower growth is a brand’s main focus and the driver of both KPIs and other goals? Take a deep breath: It's time to change the conversation. Most businesses—even successful ones on social media—have fewer followers than you'd think. We can't all be President Obama or social media celebrities with millions of followers. 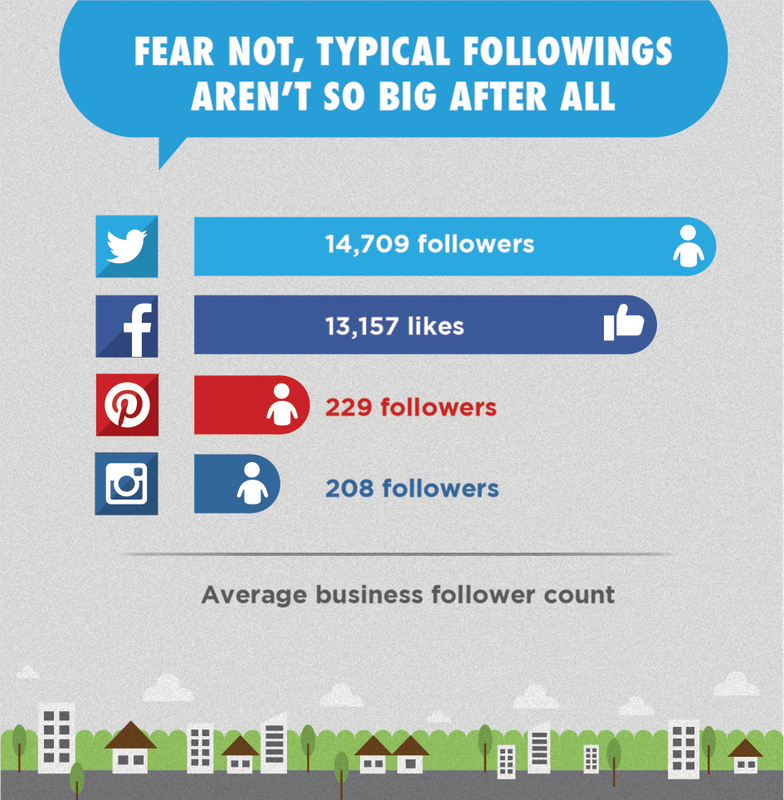 The average business’s follower count—from small shops to household names—isn't that large. Brands that hover in these ranges can have better and deeper conversations with their communities than brands who speak to millions. It's better to cultivate a strong audience and grow it slowly than flash a large number of followers when no one's listening. It's easier to get inspired by possible achievements for the company by chatting with colleagues about their needs and ways social media can help. 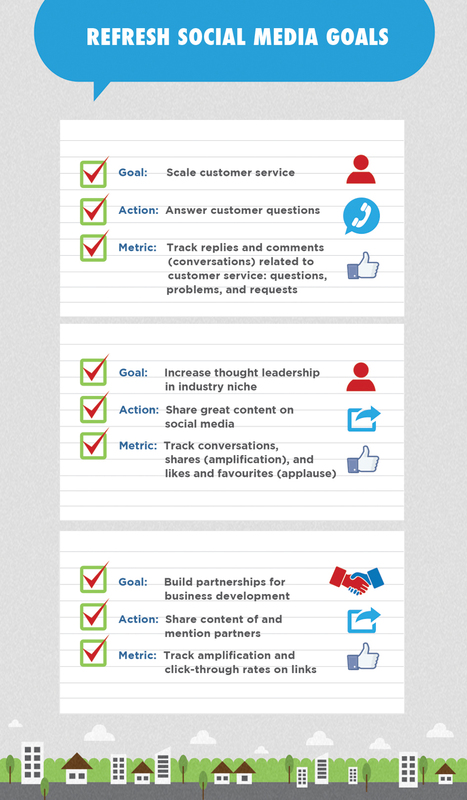 At its simplest, engagement is any action followers have with a brand or individual on social media. There are three main categories of engagement: conversation, amplification, and applause. Tracking these can be daunting, especially in the case of a chatty bunch of followers. However, it's equally important to know how to track this and why it's important. Getting replies to your content and replying to the content of others is the basis of any social network. For most brands, increasing the conversation rate is a positive thing. It means reaching more followers or even expanding beyond that audience. Comments harbour the loudest feedback or can have the most fun, showing off what makes a brand unique. If a brand’s competitors aren’t responding, filling that response void in a relevant manner can pull in an additional audience already interested in that industry. Always have empathy for the customer's situation. Reply in a timely manner. Most conversations on social media are dead after a few hours. Have some fun. Show a person you care by making a joke or sending them a photo of a cute animal they like. If a comment makes you upset, run your response by a colleague before publishing. Strong emotions? Bring the conversation into email or another more private channel. Be sensitive to what's happening in your industry niche, your location, or globally. Thank your community for their feedback, and for recognizing and recommending you. Most of the time, don't poke the trolls. But know when your community needs to hear you address what's happening. 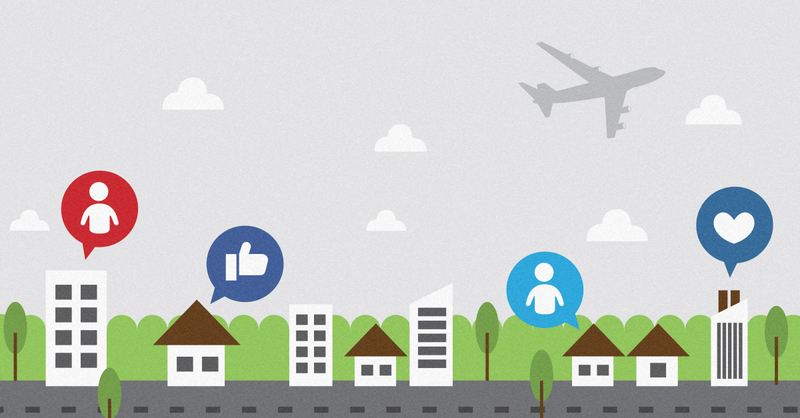 Compelling content is shared around the globe quickly via social media. Most brands are eager to get their content out there and promoted. Brands are hungry for more exposure, but it can take work to discover what constitutes as instant shareable content. It can be depressing to find there's no actual correlation between social shares and traffic to your site. However, people who read 25 percent of said content are more likely to share it. And even if people don't read it like they should, amplification can still bolster brand awareness and serendipitous opportunities. Make sure all your pages are properly optimized for social sharing with correct Open Graph meta tags, title tags, and images. Catchy headlines work, but don't go overboard and make promises that aren't true about your content. Images are powerful. Make sure you've optimized images (880x400 pixels for Twitter and 1200 x 630 pixels for Facebook). Large Twitter card images can get 50 percent more clicks than small ones. Instead of just sharing the content's title, find a powerful quote from the piece. Make sure you're not just sharing your own content. Some social media managers live by the “20 percent about you, 80 percent about others” rule. This isn't true for every brand, so figure out what works for you. Get a customized URL for shortened links. This can be a strong branding signal on Twitter. For example, the Huffington Post uses huff.to. Say something with your content and stand for something in your industry. Use a tool like Rival IQ to find what's working for your competitors, and share the same or similar content. The most passive actions on social media—applause—is the community saying it cares. But a vote for what you're sharing can signal to others that you're an authority on the topic. On Facebook, likes help directly by getting posts seen by more people. On Twitter, a favourite may be a high five or a signal via IFTTT to save the link to Pocket, Feedly, or another tool for later reading. On Google Plus, the +1 helps cater to personalized search results. Meaningful shares with purpose get your brand all the high fives. Say and share something people want to remember later. Use images that elicit strong emotions: anger, fear, happiness, disgust, surprise, nostalgia, and sadness. Photos get 53 percent more likes on Facebook than other types of posts. Smartly add a hashtag or two for discovery on networks like Instagram, Tumblr, and Twitter. Mention others, especially when sharing content or boosting partnerships. Your community will take note. Show off what it looks and feels like behind the scenes at your brand. Don't be afraid to humbly mention your brand's accomplishments and major announcements. You may see fist bumps all around. Give applause to others and spread that network of support. While you shouldn't measure success by the number of followers you have, when you really get the hang of social media, you're likely to get more followers. Social media marketers should always track true organic follower growth because it makes metrics richer. It’s easy to calculate relative engagement with conversation, amplification, and applause rates on each network. Take the rate and divide it by followers per 1,000. (If you're lucky enough to run a large account, this number can be 10,000 or even 100,000.) For instance, if there are 14,000 Twitter followers, like an average account, divide by 14. So why is this relative engagement rate so important? It shows that as a company grows its number of followers, no one is left behind and the brand still cares enough to stay part of the conversation. Think of social accounts like inviting people over for a party. The first week, you throw a party with 10 people and you only talked to five of them. You'd have a relative engagement rate of 50 percent. You had so much fun that next week, you decided to invite 20 people. 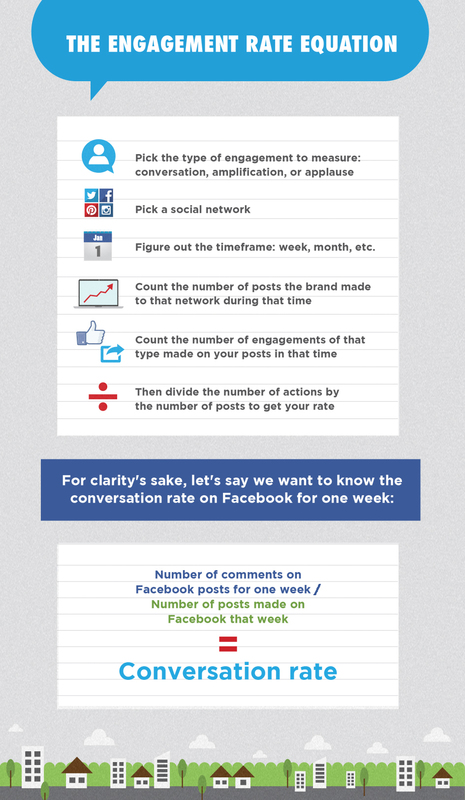 In order to maintain the same engagement rate, you'd need to converse with 10 of them. This is also a great way to increase engagement with an audience that's already engaged. Talk to 15 people at that party instead of just 10. What about Sales and Conversions? Truth be told, social media accounts do not typically account for direct sales. Most traffic analytics are still done by last click, and social media is rarely the last click. Are there exceptions to that? Definitely. Companies like Groupon or flash deal sites like Woot drive on impulse, limited call-to-actions. But for most of us, conversions happen more slowly. It's important to work with your larger teams to figure out where social media fits into the buying cycle. 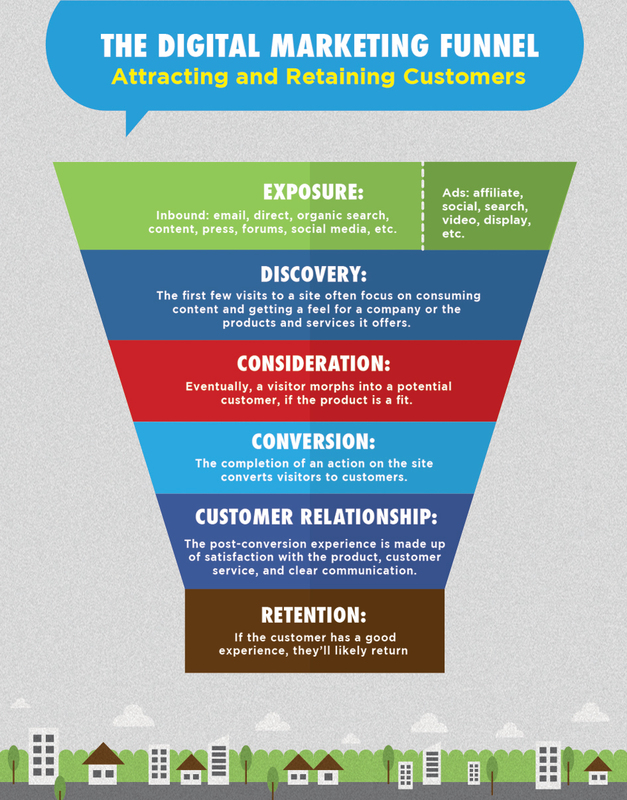 For most companies, it's to get customers into the top of the sales funnel. It's about brand awareness or even driving traffic, which may not get the buy click back to your site. Team up with colleagues focused on SEO or content and make organic traffic goals. Conversions aren't always about sales anyway. Step back and consider that the conversion for social media may be someone signing up for an email newsletter, filling out a lead generation form, taking a survey, or just reading important news about your brand. Every industry and every company is different. It's important to report what matters to others in your company, not just what shows how awesome social media is. Does your product team look for feedback and feature requests? Collect it on social. Do you put on in-person events? Report on attendance and sentiment and show off photos and video. Do you need to hire more social media people to your team? Share how many posts, including replies, you made or in-depth conversations you had. Need some company morale boosting? Show off what your community is saying and, perhaps, what they're sending to you. Metrics can be a hard thing to love, even if they provide exciting insights. But by tracking the right type of metrics for social media and things that matter for your brand, you may find them a little more exciting. Metrics shouldn't be static. A brand can change and evolve them as social networks change and grow (who knows what we'll be posting on in 2020) and as your brand's goals change. Depending on the business, those larger company objectives could change every month or quarter. You'll need to pivot to meet them. Not to mention, as you dive in, you'll figure out what you're comfortable with and learn all about how to present social media analytics that work for your brand. Erica McGillivray spends a ridiculous amount of time being geeky, both professionally and personally. At Moz, she's the senior community manager, wrangling 500,000+ people and co-running their annual conference MozCon. Erica also is a founder of GeekGirlCon, is a published author, and has a comic book collection that's an earthquake hazard. Follow her at @emcgillivray.